Icarus the Owl first took the pop-punk world with their signature technical style. After taking the time to refine their music and work with their new label [Blue Swan Records], the band has released their fourth album, Pilot Waves, which takes on a more clear-cut sound but keeps with their signature instrumental intricacy. 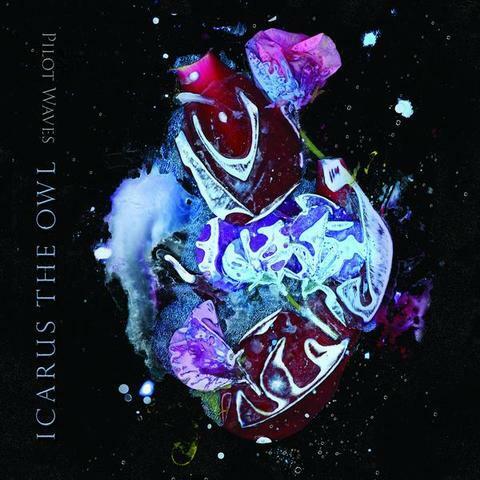 The album provides what lead singer Joey Rubenstein calls, “a mental landscape.” The tracks are a mixture of heavy and light songs that maintain Icarus the Owl’s pristine quality, one that keeps the old fans coming back for while inciting newer fans. incredible voice. Though not every song carries such intense notes – tracks like “Dinosword” and “Werewolf Tea Party (Who Invited Valeria Boone? )” bring out the lighter side and give a more infectious punk feel with tongue-in-cheek lyrics. For those who aren’t used to the progressive punk sound, you’ll find moments where you are caught off guard by the weaving of unstructured and interestingly arranged vocals. “Pearls and Blue” provides us with one of these surprise moments. The track starts off with an almost calming effect, but halfway through the song bursts into a charged melody, almost like listening to two different songs. Rubenstein’s voice knows how to cut through the artistic melodies as most pop-punk singers do, but he provides a level of intricacy that brings together odd time signatures and tempos that many don’t. The track “Peak and Valley Lines” showcases Icarus the Owl’s efforts by masterfully combining layered vocals and light guitar riffs to create a punk orchestra. Icarus the Owl brings a crisper and more technological-based punk sound on Pilot Waves. While Pilot Waves is more polished than previous albums, there is more of a balance between complex instrumental notes and charged lyrics that really can only be described as a “mental landscape.” Pilot Waves propels Icarus the Owl into the pop-punk world with a refreshing twist though it may take a second to get used to.